The mattress industry has gone through a significant change in the past ten years. What used to be the norm — going to a showroom, testing out a dozen or so different mattresses, and having only a salesperson as a guide — is becoming the exception. Now, to find the latest mattress sales, you want to consider mattress companies that operate mostly online. 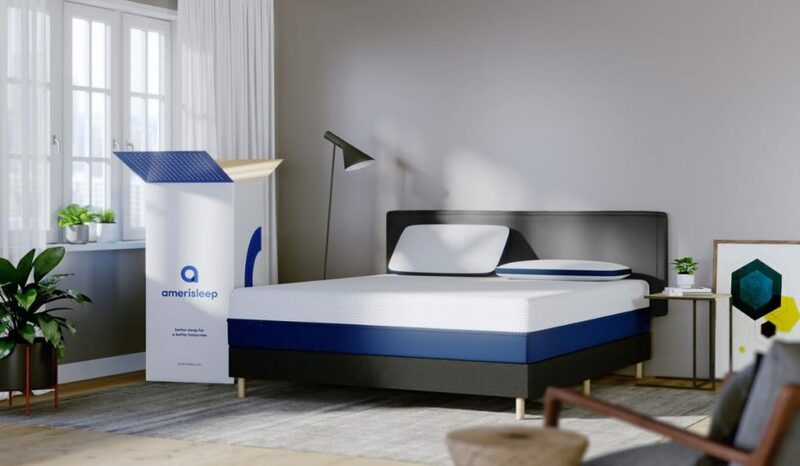 The change happened when companies such as Tuft & Needle, Casper, and Amerisleep — often called bed-in-a-box companies — began offering quality products with customer-centric warranties and sleep trials online. Now, there are dozens of new mattress companies that sell mostly online. Still, knowing when to buy can help our readers get the best mattress at the best deal. The Amerisleep AS3 is our choice for the best bed of the year. While we know what may work for you may not work for someone else, feedback shows the Amerisleep AS3 was designed to cater towards the majoriy of sleepers. Plus, Amerisleep offers a 100-night sleep trial, no-hassle returns and exchanges, and a 20-year warranty. Please visit our article on finding the best mattress for you, where we go over different types of mattress technology (from innerspring to memory foam to latex) and break down our recommendations by sleeping position, medical conditions, brand, and more. Traditionally, mattress manufacturers send demos of their products to showrooms and showrooms display multiple brands on their floor. Visiting a department store or mattress store allows you ty try out Sealy mattresses, Serta mattresses, and other brands. Pros: a customer can go to one location and try out multiple brands. With this model, the idea is with the higher number of options available the more likely a customer will find a winning match. Cons: The separation of manufacturer and retailer can create a gap in knowledge. For example, what the mattress retailer knows about the product is limited to what they are taught by the company’s representative. It isn’t their own product they are selling. 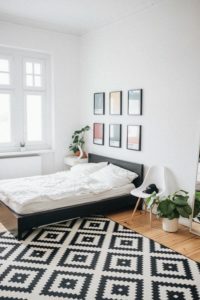 In our experience, mattress salespeople at department stores or traditional brick-and-mortar mattress stores are less likely to know about the quality of foam in the mattress, where the foam is made, and even more basic info such as the inches of foam, the foam density, and the foam’s ILD/IFD. This does not mean that all brick-and-mortar salespeople are unaware of this information, or that they are unable to help, it simply shows how the business model isn’t designed to promote education and transparency. Another difficulty arises in the names of these mattresses. While some companies have changed, most traditional mattress companies change the model names of their mattresses from store to store. A mattress that is called Evergreen Fields at one retailer can be called Willow Park at another. This makes comparative shopping incredibly difficult, allowing retailers to charge more and not worry about price-matching. Sometimes traditional mattress stores have closeout sales, where floor models are sold at steep discounts. These are usually sold “as is” and do not come with any warranty or return policy. Mattress retailers often have two different approaches to returns. First, there is the return fee/restocking fee approach where the customer may return the mattress, within the agreed upon allotted time, minus a return fee/restocking fee. This fee will change from retailer to retailers. Sometimes it is a flat fee, and sometimes it is a percentage of the total ticket price. Second, some retailers do not allow returns but only exchanges. When it comes to warranties, some retailers “buy” the warranties from the manufacturer but most retailers have the customer go through the manufacturer’s warranty claim department. So if you buy a Sealy mattress from a mattress retailer in Portland, you will usually submit your warranty claim to Sealy and not the mattress retailer who sold the product. Most online mattress companies use coupon or promo codes to offer time-specific savings on their product. But before we get into that, let’s consider how an online mattress company works. So, unlike the business model mentioned above, when you are buying from Casper, Tuft & Needle, or Amerisleep, you are buying their product. The cons of this approach are it gives customers limited choices per company (but more choices to make when it comes to which company to buy from). The pros, however, are they are dealing with one point of contact. The company which makes the mattress sells the mattress and also covers the mattress warranty. Because of this, most online mattress retailers are able to sell high-quality products at a much more affordable price range, offer longer and more generous sleep trials, and offer warranties which match, or exceed, the industry standard of ten years. Also, online mattress stores offer smaller discounts. This makes sense when you consider the price they are starting out is already lower than the competition. For example, a traditional brick-and-mortar mattress outlet may have a mattress that is on sale for 60% off, but the final ticket price is still $2,800. For online mattress companies, the original price is often within the $800 to $2,000 range (based on queen prices), and so the discount offered is often for a smaller amount ($100, $200, or 10% off the entire order). After the significant dip in price, the biggest change brought out by this new trend of buying your mattress online is how companies handle returns, exchanges, and warranties. Now that you are buying your product directly from the manufacturer, you are more likely to find customer-focused processes and policies. When buying a mattress online, read the fine print to make sure the company offers a 100-night sleep trial, no-penalty returns and exchanges, and a minimum of a 10-year warranty. These are now considered industry standards. And for good reason. The 100-night sleep trial allows you to try the mattress at home and really spend time on the mattress to see if it is the right fit for your needs. No-penalty returns and exchanges allow you to return the mattress if you find out it isn’t right for you. The warranty comes in and helps protect the life of the mattress. 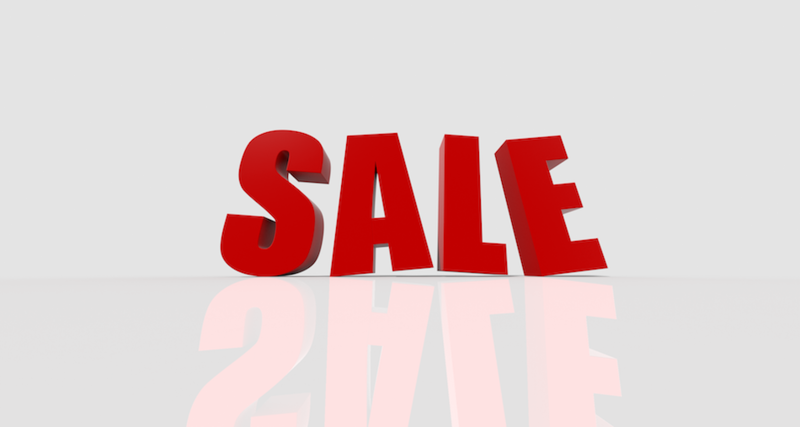 There are general times of the year when, as a rule of thumb, a person can find the best deal on a mattress. Memorial Day is another federal holiday in the U.S. and is always observed on the last Monday of May. It considered the unofficial start of the summer vacation, and it is a great time to consider buying a mattress. Preparing to shop this upcoming Memorial Day weekend? Check out our guide on finding the best Memorial Day mattress sales. The fourth of July is another great time to buy a mattress. Right between Memorial Day and Labor Day, this is a good time to buy for customers who are looking to get a new bed before the fall. As it gets closer July 4th, check out our guide to the 4th of July mattress sales. Labor Day is the first Monday in September and is one of the biggest mattress holidays. Before Black Friday became a huge time for promotions, this was the last time of the year to get a great deal on a new mattress. Ready to shop this Labor Day? Consult our guide on the best Labor Day mattress deals. Black Friday was one of the last promotions to hit the mattress industry. Even when other industries (such as appliances and electronics) were jumping on the bandwagon, the mattress industry held out. However, now, thanks in part to the online boom of bed-in-a-box companies, Black Friday is another great time to buy a mattress and is the last holiday of the year to get a great deal. Ready to shop this Black Friday and Cyber Monday? Consult our guide on the best Black Friday and Cyber Monday Mattress Deals. Remember that online mattress shopping has changed the face of the industry. We have seen more consistent and more transparent deals happening in the world of mattresses, thanks to the bed-in-a-box revolution. Now the focus is less on getting the best deal available (or fretting about missing out on the next best deal) and is more on finding the best mattress for your needs.